The issues and trends we’re seeing playing out right now relating to hydropower and the clean energy sector are not unique to our region. Having recently returned from a meeting of the Board of the International Hydropower Association, I’ve been reflecting on the challenges and opportunities facing the global hydropower sector. It seems that there’s a global shift occurring in hydropower. Traditionally, hydropower has been viewed as a stand-alone, established renewable technology. Now we’re seeing a much greater sense of integration with other renewable technologies as part of broader ‘clean energy’ systems. With the rapid global increase of wind and solar power developments, hydropower needs to review its place, and its opportunities, within the wider energy sector. Wind and solar tend to have shorter construction and implementation periods than hydropower projects. When the wind is blowing and the sun is shining, the power flows. But, as we know, the intermittency of these sources of power creates the need for some sort of storage to firm up the system. Hydropower has traditionally provided both baseload and peaking capacity, but now we also have the opportunity to provide much-needed storage and the firming capacity urgently required to help stabilise grids as they integrate increasing levels of intermittent renewable technologies. Pumped storage hydropower may be particularly useful in this context. In recent weeks the Australian federal government has expressed new interest in pumped storage options to help alleviate grid pressures, such as those experienced recently in South Australia. But it’s not only in Australia that we’re seeing increased discussion and enthusiasm about opportunities for pumped storage hydropower to integrate with other intermittent renewable technologies by offer firming power and assistance with stabilising the grid. It’s a global trend. Also under discussion at a policy level in Australia right now is the energy ‘trilemma’ of security, equity (accessibility and affordability) and environmental sustainability. These three factors need to be in balance to ensure a secure power sector that meets the present and future needs of energy consumers while moving towards a lower carbon future. These three big issues that are so relevant right now in the Australian context are just as urgent in the global setting too, and need careful long-term planning, and the right mechanisms in place to support appropriate development. It is interesting to review the World Energy Council Energy Trilemma Index, noting country rankings through the lens of hydropower and pumped storage integration. Not surprisingly, most countries ranked at the top of the list have been using these technologies for decades, which perhaps signals a direction for others to consider. Another worldwide trend is the ongoing shift towards development of small to medium hydropower systems because many of the larger opportunities have already been exploited. For example, in China, many of the large hydropower schemes (10 000 MW, plus) have already been identified or developed, so new hydro developments are more likely to fall within the small to medium range, with the added advantage of shorter construction and implementation times. In Australia, smaller pumped hydro systems, or hydropower systems built into irrigation systems or water supplies, also have a significant role to play in the ongoing development of the hydropower sector. Renewable energy and hydropower is a specialised field, so it’s critical that we also focus on the human resources and the capacity development needed to ensure a healthy future for the global hydropower sector. This is particularly so in regions which are new to hydropower and renewables, as the world shifts towards stronger support for renewables and replacing carbon-intensive power generation. Hydropower is a mature, established technology, but that doesn’t mean we can’t be flexible and responsive to shifts in the global energy sector. As we strive towards the goal of affordable, reliable and sustainable power for all, hydropower has much yet to offer as a stabilising element of an integrated clean energy vision. Tammy Chu is Entura’s Managing Director. 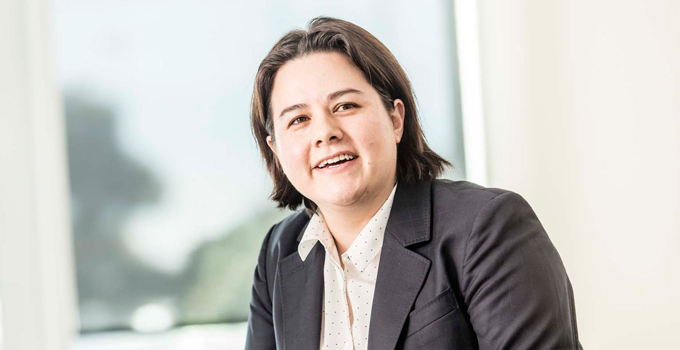 She is responsible for Entura’s business strategy, performance and services to clients, and is part of Hydro Tasmania’s Leadership Group. Tammy joined the business in 2000 and has held a range of positions at Entura, from Technical Professional to Project Manager, Business Development Manager and Water and Environment Group Manager. Tammy is a member of the Board of the International Hydropower Association. She was the first female and now past president of the Tasmanian Division of Engineers Australia, and was an Engineers Australia National Congress representative. Tammy holds a Master of Business and Administration from Chifley Business School, is a Fellow of Engineers Australia, and a graduate of the Australian Institute of Company Directors.